Once we’re over twelve years old, we’re seldom encouraged to be nice. We’re expected to make efforts in all kinds of areas, chiefly around work, but the idea of expending energy thinking about – and then practising – the art of niceness sounds bizarre, even eery. 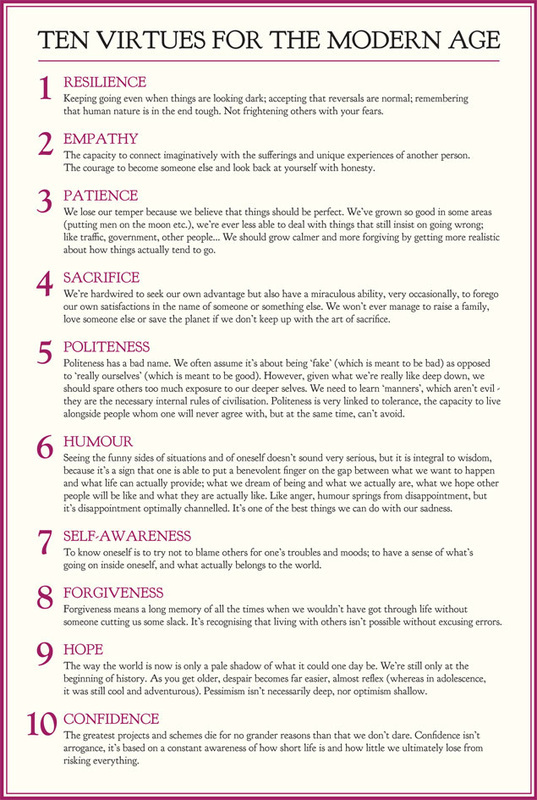 That’s why we’ve drawn up a checklist of ten virtues that we think matter more than ever in the modern age.